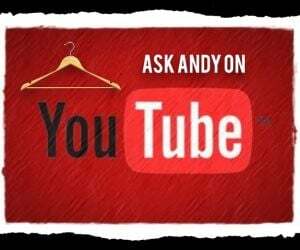 AskAndyAboutClothes.com is devoted to what to wear, how to properly wear it, and the history of why we wear what we do. Check out Andy’s story and how this website came to be. 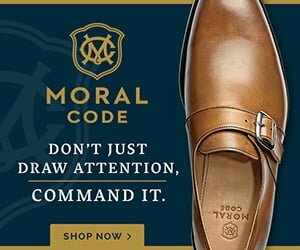 Read on to check out a hot company offering Italian luxury goods at outlet prices! If you’re looking to learn how to make a necktie, look no further. Here is a step-by-step guide outline the steps to make a necktie. Focusers Eyewear is looking to stand out from the crowd. They offer attractive eyeglasses for men and women in modern and vintage styles. Fix a sagging collar on your dress shirt with this sure-fire solution. Own Andy’s Encyclopedia Now! Join our Forum Community! Thank you for your website! It is hard for me to relate how much I appreciate the wealth of information found on the site itself and in the forums. Also, as a physician, I appreciate the drive to provide information that is as free of commercial bias as possible. I don’t normally join forums, preferring to lurk, but yours is special. Jason Simmonds and Chris Clark (from Herring) met me in London with two pairs of beautiful Herring Shoes. An interview with 4 different women to find out about their preferences regarding body hair on men. Here are 5 straight forward & easy to understand reasons why you should NEVER let your significant other choose your clothes. Carl Murawski discusses 3 of his favorite methods to keeping his shirts tucked in all day long.